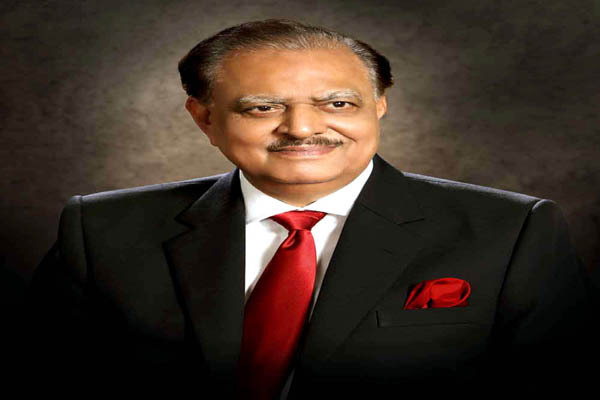 ISLAMABAD, Sep 23 (APP): President Mamnoon Hussain on Friday called for increasing trade with Sudan by enhancing bilateral cooperation in different fields. friendship based on common religion, history and culture. The President expressed these views in a meeting with Sudan’s Special Envoy/Minister of International Cooperation Kamal Hasan Ali who led a delegation here at the Aiwan-e-Sadr. The Special Envoy who brought a special message from Sudanese President, requested for Pakistan’s support his country’s representation at World Health Organization. consideration would be given to the Sudanese request. different fields between the two countries for further cementing bilateral relations. He expressed confidence that participation of Sudan in defence exhibition IDEAS-2016 would open up new horizons for bilateral cooperation. The President noted that both countries support each other on various regional and international fora. He also conveyed his best wishes for the people and leadership of Sudan.